In fiscal 2012, approximately 300,000 service members participated in the tuition assistance program, according to sponsors of an amendment to restore the program. When the U.S. Marine Corps announced that it was cutting its tuition assistance program as a result of “sequestration,” Cpt. Martin Cawdery sat down with his wife to go over their monthly budget to see if he could afford to continue his master’s degree studies at Webster University. Among other things, the MTAP plan offers service members a grant covering up to $250 per credit hour to replace the suspended tuition assistance funds, according to the university. “I was elated because I really wanted to continue my education, but we were going to have to make some significant cuts in our savings and just cut back on doing things with my family, whether dinner or a movie,” said Cawdery, who had been relying upon the tuition assistance program for the past year and a half, using it to the maximum at $4,500 per year. Cawdery said some service members may be reluctant to use their G.I. Bill because the post 9/11 G.I. Bill is transferrable to dependents. Webster University is one of at least a handful of universities that have stepped up to offer enlisted members all or some of the tuition assistance they lost as a result of cuts to the Department of Defense. The cuts were part of $85 billion in federal cuts that went into effect March 1 as a result of “sequestration,” the term used for the across-the-board cuts that were imposed because of Congress’s 2011 failure to reach a $1.2 trillion deficit reduction deal. In fiscal 2012, approximately 300,000 service members participated in the tuition assistance program, according to a press release from U.S. Senator Kay Hagan, D-N.C., who along with Sen. Jim Inhofe, R-Okla. co-sponsored an amendment to restore tuition assistance programs. The amendment failed earlier this week. According to Hagan’s office, in fiscal 2012, service members who were enrolled in tuition assistance programs earned more than 50,000 degrees, diplomas or certificates. The recent decision to cut the program exempts those already receiving aid, but prevents service members from submitting new requests for the assistance, Hagan’s office said. The significance of the impact of the elimination of the tuition assistance programs for members of the military has not gone unnoticed in the higher education community. Earlier this week, the American Council on Education and 12 other higher education associations sent a letter to Defense Secretary Chuck Hagel, asking him to reconsider recent decisions by most branches of the military to suspend their tuition assistance programs. Despite the inability or unwillingness of the federal government to restore the funds, some institutions of higher learning, such as Webster, took the lead on offering assistance to enlisted members to make up for the loss. 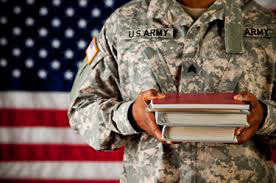 Besides Webster, Touro University Worldwide (TUW) announced recently that it would offer several financial assistance options to military students in the wake of the elimination of the TA programs. Those options include one free course to all military students who submitted paperwork by March 15, and reduced costs for military members for certain programs, such as the Bachelor of Science in Business Administration or Masters in Media and Communications Psychology. At Webster, the MTAP plan went into effect March 15. Webster’s associate vice president for military and governmental affairs, Brigadier General Michael W. Callan (United States Air Force, retired) said when the tuition assistance program got suspended in the Marines, Army, Coast Guard and Air Force, the university sprang into action. “We held an executive meeting and determined the right thing to do was to form the Military Tuition Assistance Protection program, or MTAP,” Callan said. Michael Dakduk, executive director of Student Veterans of America, said education for enlisted members helps them rise within the ranks, and once they reenter civilian life. Cawdery said he believes the master’s degree he is seeking in management and leadership will help him rise within the ranks, and once he leaves the military.